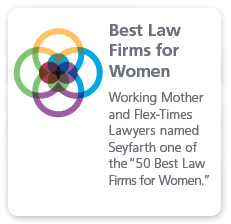 Since 1995, Seyfarth’s downtown Houston office has become known as a driving force in the legal community throughout the Houston and the State of Texas. With nearly 60 attorneys and support staff, the Houston office focuses on a number of practice areas including corporate, real estate, employment, immigration, commercial litigation and health care law. Recognized throughout the firm for its exceptional lawyers and high level of client service, the Houston office maintains a collaborative culture to foster innovative thinking and professional growth. 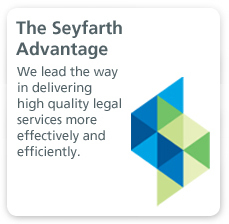 Our attorneys are active members of the legal and business community and offer a reputation of thought leadership within their respective circles. 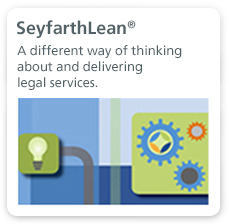 Through frequent speaking engagements, panelist participation, faculty appointments and authoring white papers for a variety of professional and industry organizations, our attorneys maintain a high level of visibility and consistently stay up to date on the ever changing laws within their respective areas of practice. In addition to our pro bono legal work, the Houston office upholds a generous spirit of giving back to the community. Our attorneys and staff sit on numerous boards and committees that promote a healthy community, including philanthropic efforts for children and family causes such as Kids In Need of Defense (KIND) and the Fort Bend Regional Council on Substance Abuse, Inc.; and health-related organizations, such as Race for the Cure (on behalf of the Susan G. Komen Foundation) and our flagship charity, the National Multiple Sclerosis Society, in which we heavily participate and raise funds for the annual MS150 two-day bike ride from Houston to Austin. 5/17/2018 Who Wants to be a Health Care Guru?